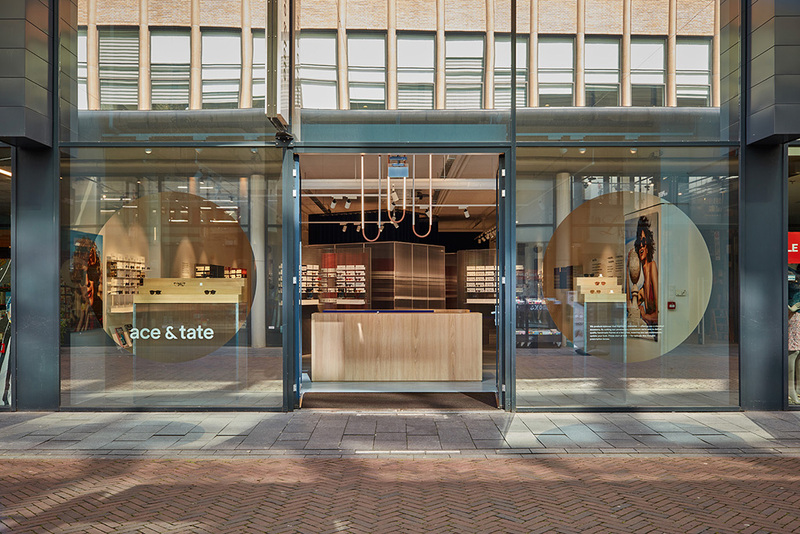 Ace & Tate has opened a new store situated on the Nieuwe Emmasingel in Eindhoven. 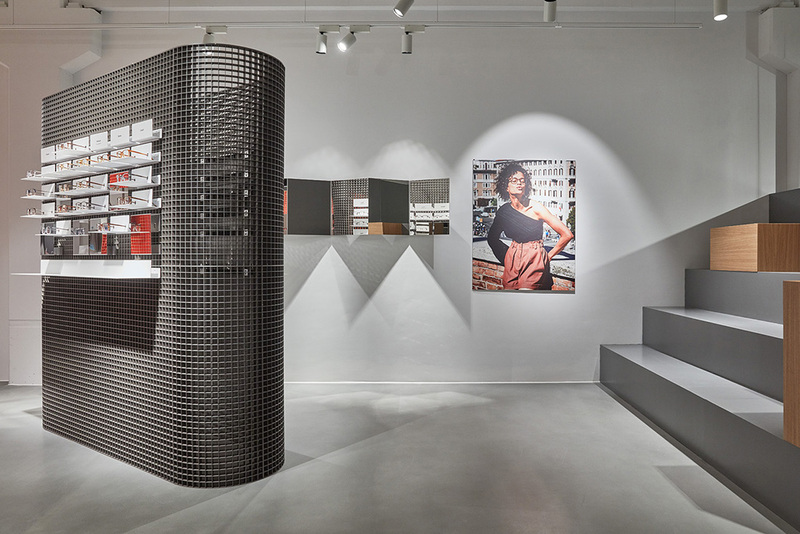 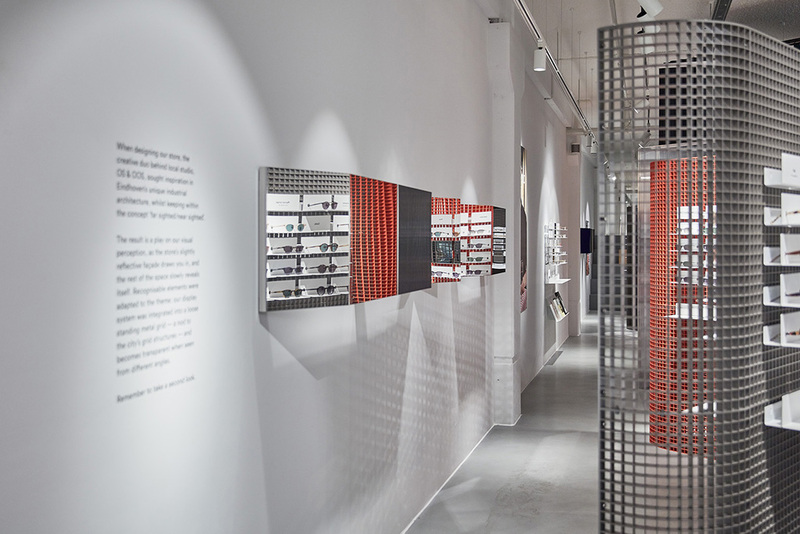 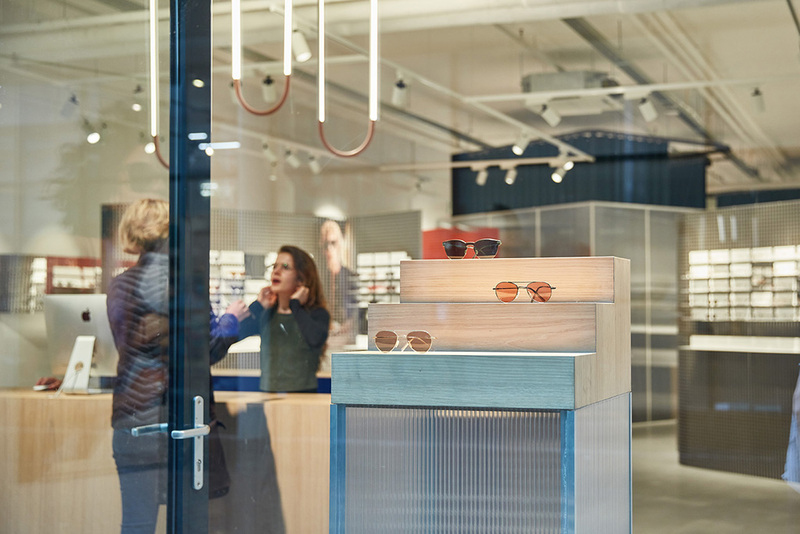 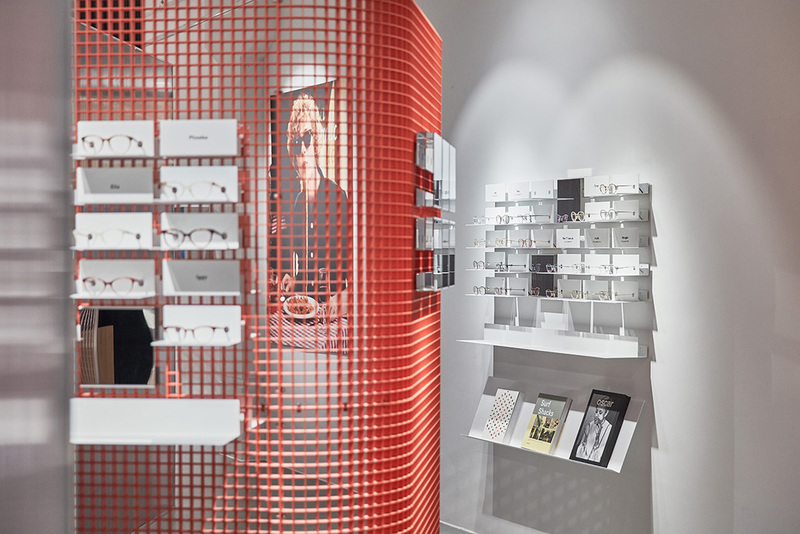 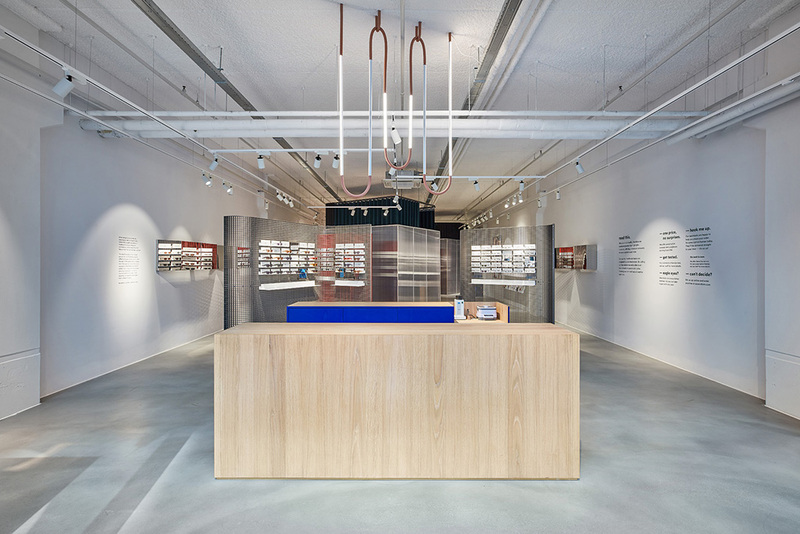 The Dutch eyewear brand collaborated with local studio OS ∆ OOS, known for their work in contemporary functional design. 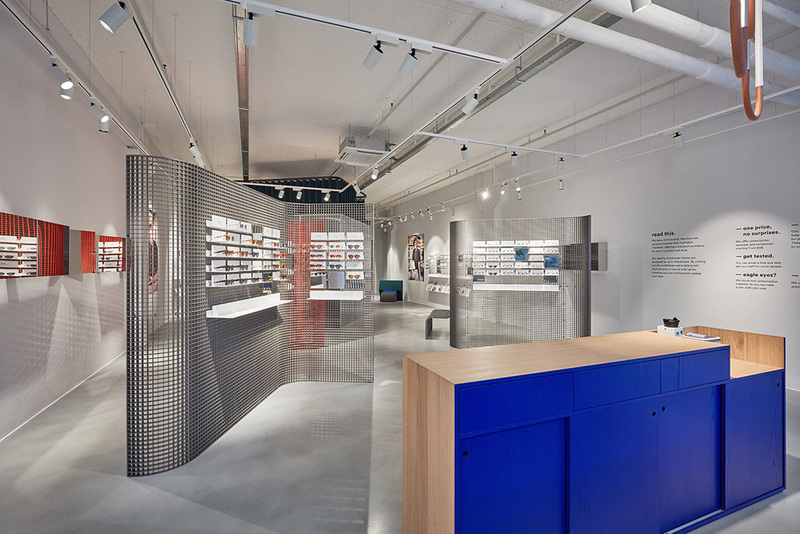 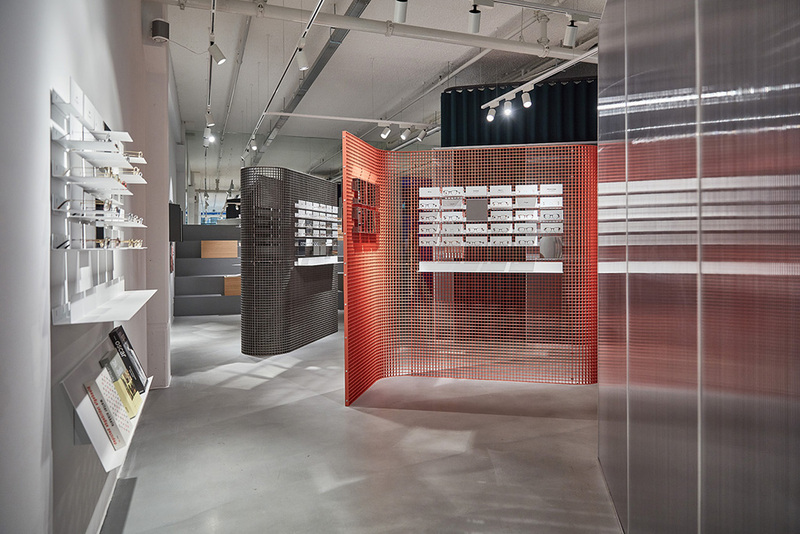 For the design of the store, the creative duo behind OS ∆ OOS sought inspiration in Eindhoven’s unique industrial architecture, whilst keeping within the concept ‘far sighted/near sighted’. 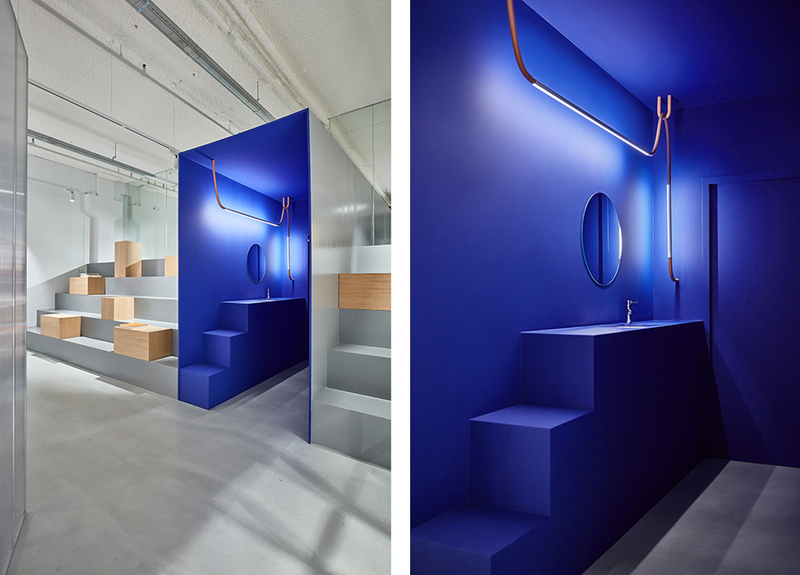 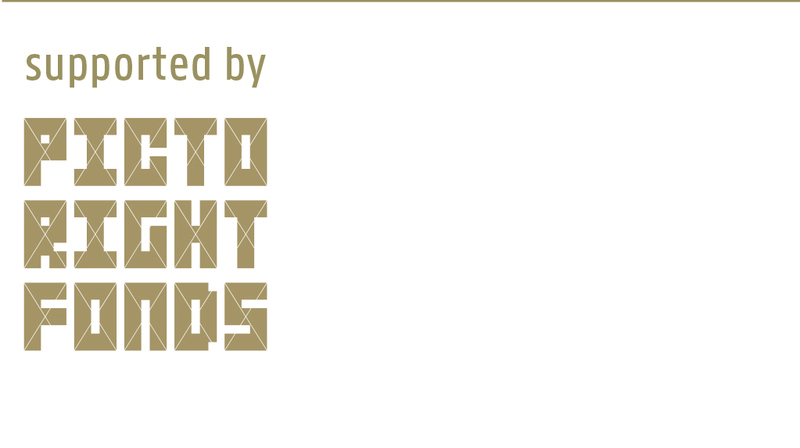 The result is a play on visual perception. 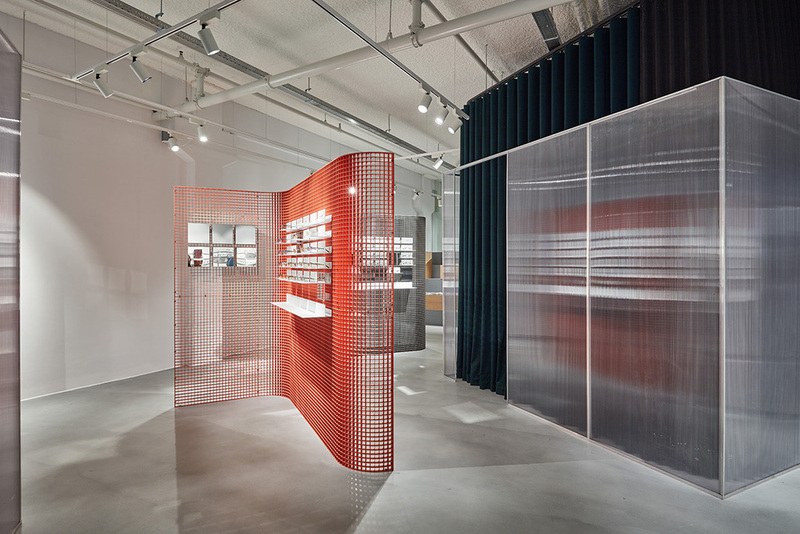 The store’s slightly reflective façade draws visitors in and, once inside, the rest of the space is slowly revealed to them. 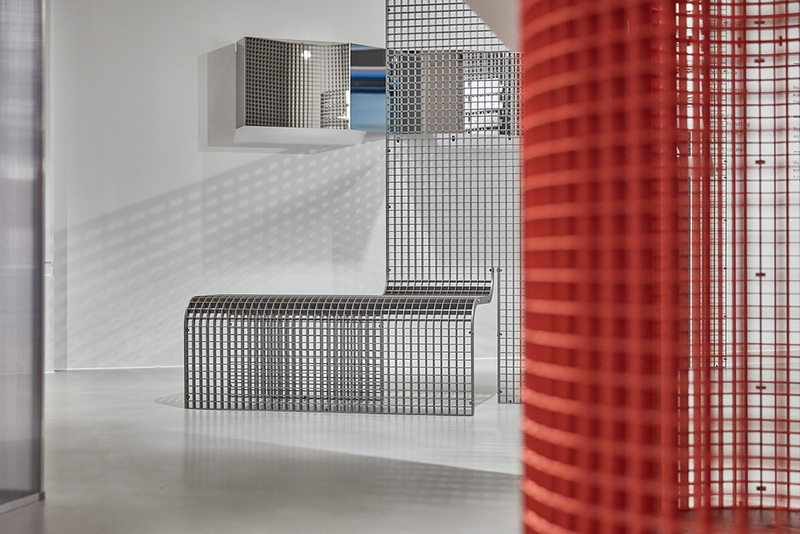 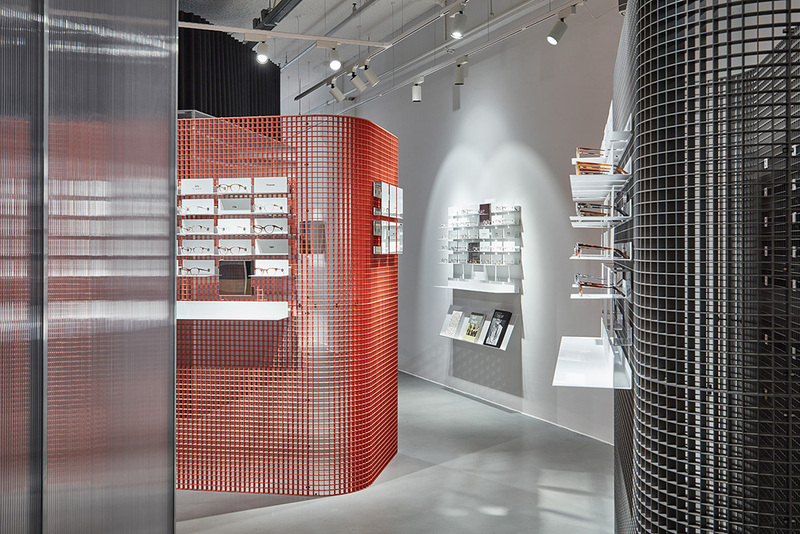 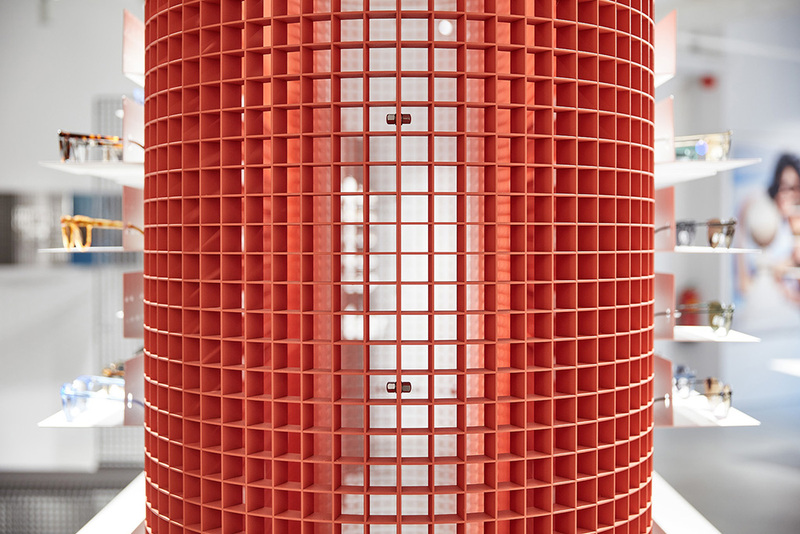 Recognisable elements were adapted to the theme: our display system was integrated into a separate metal grid – a nod to the city’s grid structures – that is transparent when seen from different angles. 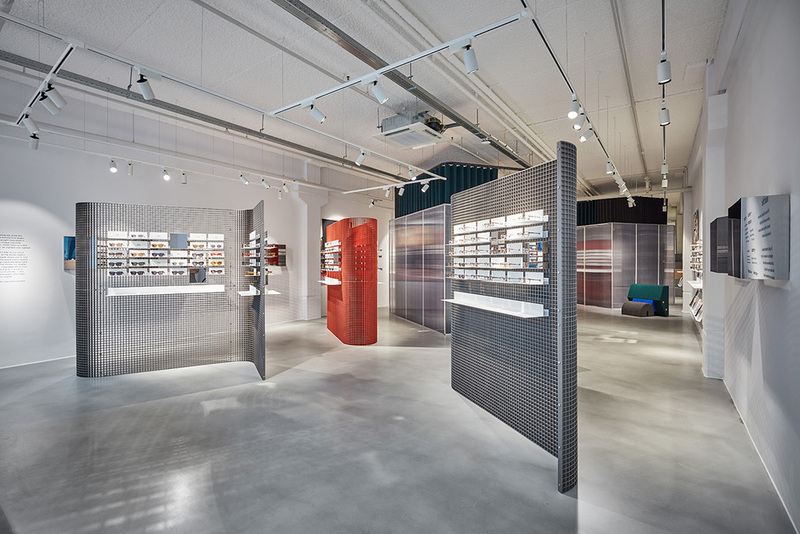 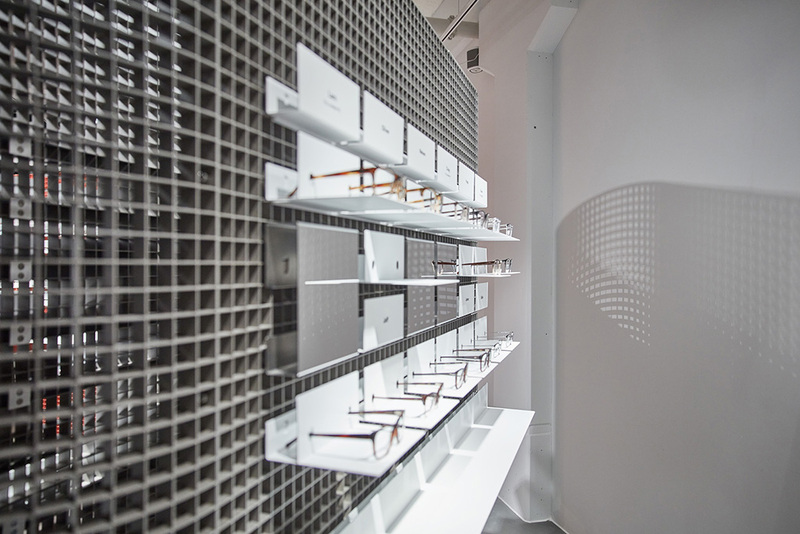 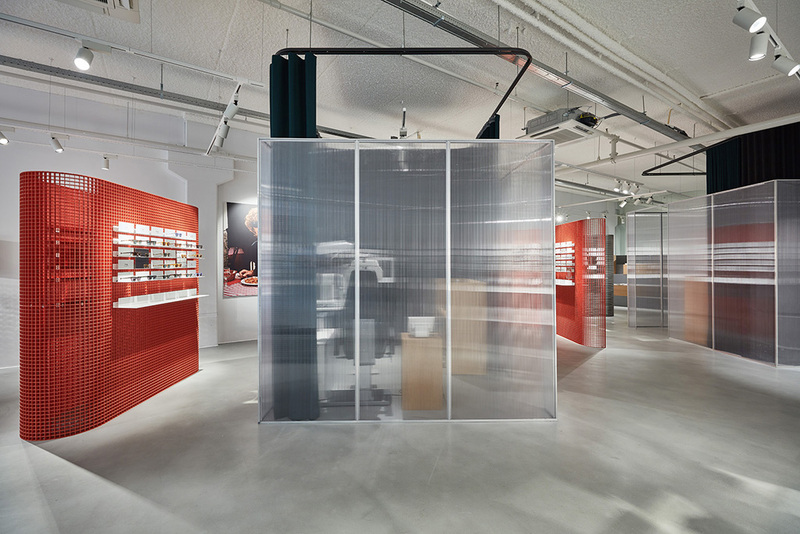 The optician rooms have also been given a special treatment: when an eye test is in progress, the polycarbonate cubes are closed off by a curtain, and when not in use, their purpose is visible.